India continued their run to potential back-to-back World Cup triumphs as they ended their losing streak against the Proteas—a mere week after they once again topped their rivals Pakistan. South Africa were seen playing like Minnows & succumbed to the pressure & a fantastic Indian performance. 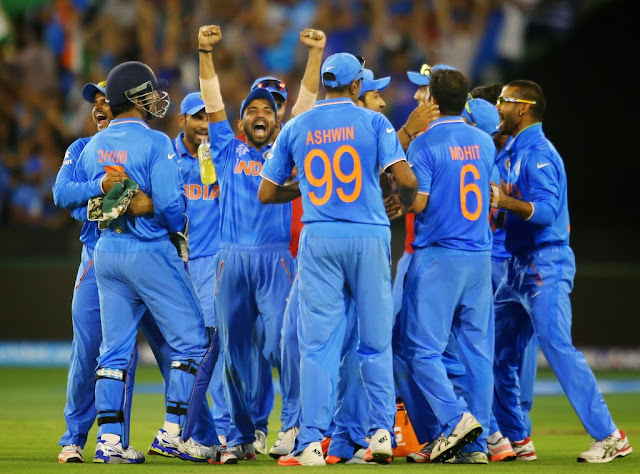 Having won the toss & opting to bat first, India gained an initial advantage. First few overs proved to be slow for India & the opener, Rohit Sharma lost his wicket on a duck through Run Out. But this wasn’t it. Destiny had something else for the Men In Blue. The 2nd wicket partnership between the Delhi lads, Virat Kohli & Shikhar Dhawan turned out to be efficient just as it did in their previous clash against Pakistan. On the first ball of the 28th over, Virat Kohli lost his wicket just 4 runs away from Half Ton. But to fill this vacuum came Ajinkya Rahane who played one sensational knock & provided a very strong support to Dhawan. Shikhar Dhawan after having lots of lows in the past series of India proved his worth & went on to score a brilliant Hundred. Not only this but after scoring a ton & getting that much needed boost, he smashed away boundaries, ending with a score of 137. After his wicket, India fell like a pack of cards & from 261/3 at 43.4 overs, they were reduced to 284/6 at 47.2 overs. But despite this loss, India managed to post a decent total of 308 on the board. Having displayed a fantastic batting performance, India had to ensure an equally great bowling show. And hands down the bowlers too did their task as expected & wanted. Taking 2 wickets within 15 overs, India were in a good position. The blue caps faced a little trouble when South Africa’s two big guns – AB & Du Plessis started building a partnership but this difficulty was soon removed from the way when Villiers got run out. Mohit Sharma to be highly credited for this wicket. With Shami, Mohit & Ashwin taking wickets regularly, win wasn’t far & fans had begun the celebrations, each of them taking 2,2 & 3 wickets respectively. 41st over was being bowled and on its second ball, Dhoni & co made an appeal. Umpire raised his finger & it was the end of South Africa. They were bowled out on a mere 177. In this victory not to forget MSD’s captaincy. His strategies & fielding set up were something to be appreciated immensely. Would like to term this as a ‘Perfect Performance’ by the Indians. Take it any department, they gave in their best & the result is infront of you. The team whose squad selection for the World Cup raised questions & predictions are on the Top of the Table of Pool B with a superb NRR. Well the streak ended & it is finally 3-1. Dhoni & his men have passed the first two matches will flying colours, also the matches which were being labeled as the most important for India in the league stage. At the end would take the opportunity to write about the fans strength at MCG today. More than 80K people were present their to witness the big match out of which 90% were the Blue wearers. 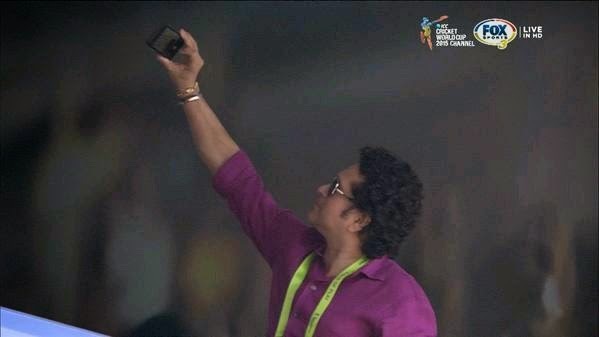 And presence of the Master Blaster, Sachin Tendulkar added grace & enthusiasm to the match. INDIA play UAE next on 28th February & SOUTH AFRICA play West Indies on 27th February. Till then keep the roars coming Indian fans – ‪#‎WeWontGiveItBack‬. India make a record-breaking win over South Africa.